Did you know that 1 in 10 Americans are suffering from some form of depression? Full description of depression types: chronic (neurotic or dysthymia), functional, secondary, situational, comorbid, episodic depression and other types. When you need to see a doctor? You may find it shocking to hear that 121 million people worldwide are suffering with some kind of depression. With so many people in crisis, it is vital that we understand the symptoms, causes and treatment methods for this serious mental illness in order to protect ourselves and others from the condition. In this article, we’ll explore some of the lesser-known aspects of the mental illness, including the differences between chronic and episodic depression, and we’ll examine how some can suffer from depression and remain functional, while others struggle to even maintain normal speech. For a depression definition, you can refer back to Definition and Types of Depression: Part 1. You will also be able to learn more about major depressive disorder and its sub-types, bipolar disorder, seasonal affective disorder, and facts and statistics about clinical depression. 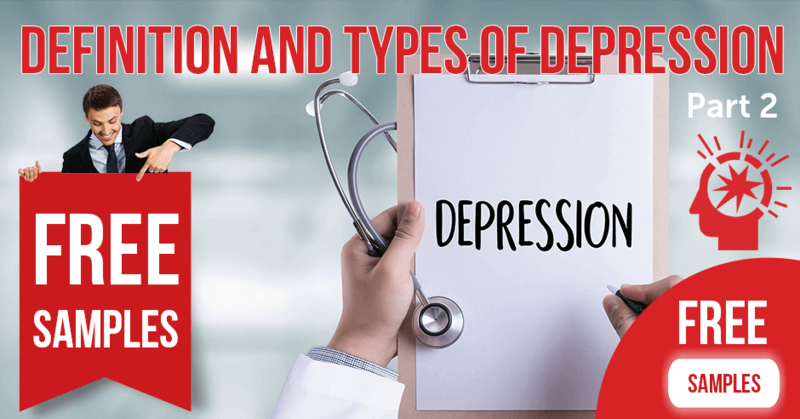 There are many different varieties of depression that people can suffer from, some of which are outlined in Part 1 of this guide. In this article, we’ll outline the symptoms and causes of the following types of mental illnesses: chronic, depression and dysthymia, episodic depression, functional and mild depression, secondary type, comorbid type, catatonic form, antenatal depression, existential type, vascular form. Dysthymia, also often referred to as persistent depressive disorder (PDD), chronic or neurotic depression, is diagnosed when an individual suffers from depression over the course of many years. Symptoms of chronic depression tend to be very similar to that of major type, but often they are a little less severe. However, major depression can occur in chronically depressed people, in which case their symptoms become more dramatic. Sometimes an episode of major depression can occur before someone develops dysthymia. 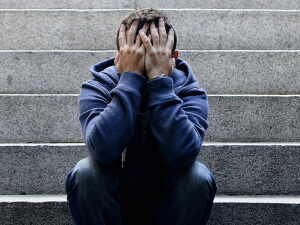 When an individual suffers from mild but persistent depressed symptoms, it is known as “functional depression.” In these cases, sufferers find it possible to hold down a job and social life, but they still feel unhappy, low in energy and motivation, and experience feelings of hopelessness and worthlessness on a regular basis. Simply because someone is functional does not mean that their illness is not severe enough for treatment. Often, functional depressed people are overlooked because sufferers simply put up with the mild symptoms under the belief that it is normal for them to feel that way. Medication and talking therapies can be successful treatments for functional depression, which is why individuals suffering from the condition should seek medical support. Secondary depression, sometimes called double depression, is named as such when a depressed person already has an existing disease which has led to their melancholy state. The pre-existing condition may be a mental or physical illness, but it is often a chronic or long-term disease or disorder which is negatively impacting their daily life. In many ways, the secondary type is similar to reactive depression which we outlined in Part 1, since it occurs as a response or reaction to something else. Although secondary depression can be treated in a similar way to major type (with medication and therapy), it is often helpful to treat the pre-existing condition first or at least find ways of better managing symptoms of the pre-existing condition. By going about treatment from this angle, it is possible to rectify the trigger of the depressive episode in order to reduce the risk of future relapses. Comorbid depression is another term used to describe secondary type depressive episodes. 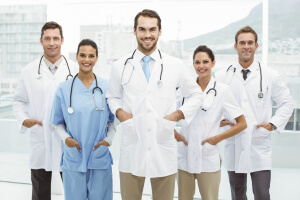 Comorbidity in the medical community refers to the presence of multiple conditions at one time. Situational depression is an episode of very low mood and mild depressed symptoms in response to stressful or traumatic life events. Many psychology experts deem it to be an adjustment disorder and not true depression, but if left untreated it can develop into the reactive type of major depressive disorder, which we outlined in Part 1. 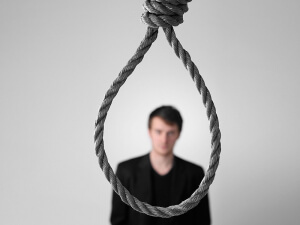 There are many reasons why an individual may suffer from situational depression. Individuals in midlife may experience it after being made redundant or after the loss of a loved one. In young people a depressed episode could be triggered by something like changing schools or moving to a new city. In the elderly, adjusting to the loss of a spouse or to a move into a retirement home could trigger a serious downturn in mental health. These are just a few examples of the ways in which situational depression could come about. It is important that sufferers acknowledge the depressive symptoms they experience when undergoing a major life change or planning to start a new life, in order to seek treatment where necessary and reduce the risk of it developing into severe major depressive disorder. Antenatal (also known as prenatal) type refers to depressed symptoms which occur in women during pregnancy. There are a wide range of causes for antenatal depression. First of all, the physical effects of pregnancy, such as morning sickness, lethargy and breast and back pain can take their toll on the mental wellbeing. Secondly, changing hormone levels can trigger changes in the brain and cause biological depression. Thirdly, the emotional implications – worrying about the health of the baby, the lifestyle changes the baby will bring, the financial implications of raising a child – can put pressure on mental health and lead to increased stress, worry and anxiety. Maternal depression, also known as postnatal type, occurs after the birth of the baby. Much like prenatal form, it can be caused by a range of biological, hormonal and emotional triggers. Treating antenatal and postnatal depressive episodes may be difficult, as some medications may not be suitable for pregnant or breastfeeding women. However, talking therapies can be extremely effective in helping new moms and moms-to-be in overcoming the illnesses. Catatonic depression causes sufferers to experience “catatonia”, in which they become speechless and motionless. Catatonia can occur as a result of various different mental illnesses, including bipolar disorder and PTSD. It is thought that it occurs due to the mental illness causing disruption to neurotransmitters. Although most commonly catatonia results in a lack of speech and motion, sometimes it can cause sufferers to have sudden unusual movements instead. Catatonically depressed people may also find it difficult or impossible to eat or drink, feel agitated by their inability to communicate, or, when they are able to speak or move, find themselves imitating the speech and movement of those around them. Depression and anxiety disorders are different conditions, but they are often understood to be the same thing because they share similar symptoms and many people can experience anxiety disorder and depressive episodes at the same time. People with both conditions are sometimes diagnosed with Mixed Anxiety-Depression Disorder (MADD). irrational and constant fear or worry. Since anxiety disorders and depressive disorders share much of the same symptoms, depression can often be masked by anxiety and vice versa. Suicidal depression usually occurs in people who have suffered with very severe symptoms of the illness, sometimes over a long period of time. Other factors, such as other mental or physical illnesses, can contribute to feelings of self-harm and suicide. People who feel suicidal often have intense feelings of hopelessness and worthlessness, which leads to them feeling that suicide may be the only way to find relief from their state of mind. In some cases, a specific traumatic or stressful event may push someone towards suicidal thoughts or behavior in a similar way to reactive depression, which was discussed in part 1. Individuals who feel suicidal should seek help immediately by calling emergency services or visiting a hospital. Medication and therapy are often the best long-term treatments, but the first step is to find a safe environment for the individual to attempt to prevent them causing harm to themselves. Although there is still much research to be done to fully understand the vascular form of the disease, also known as subcortical ischemic depression, it is a condition thought to most commonly affect individuals over the age of 65. The condition is believed to be caused by lesions on the brain, which can be detected via an MRI scan. Although many of its symptoms are similar to major depressive disorder, vascular depression is distinctive because it tends to correlate with these lesions and is most common in elderly individuals whose age makes them more susceptible to vascular disease. Episodic depression refers to depressive disorder which occurs in episodes, as opposed to chronic depression or dysthymia, both of which are ongoing and can last for years. Individuals may suffer from one or several depressive episodes in their lifetime, but if they have had multiple episodes, physicians may be interested to know more about their state of mind in between each episode to determine if they actually have a more chronic mental illness. Sometimes referred to as an ‘existential crisis’, this type of depression is caused when individuals question existential topics, such as life, death or the meaning of their existence. Since it is not possible to achieve a definitive answer to these types of philosophical questions, individuals may find themselves struggling to find their purpose or place in the world, and develop feelings of worthlessness or hopelessness as a result. In some instances, existential depressed episodes may be triggered by a major or traumatic life event. For example, someone grieving the sudden death of a loved one may find themselves questioning life and death and this in combination with their grieving emotional state may trigger depressed symptoms. Mild depression is often referred to as “functional”, as discussed earlier. People who suffer from mild symptoms of the illness may not struggle to continue with their daily activities like those with moderate to severe symptoms. However, their behavior, mood and general state of mind will be less positive than if they were not depressed at all, and is likely to appear weird and out of character to others. Regarding treatment, medication is often not deemed suitable for individuals with mild depression. Instead, therapies such as CBT, self-help programs, and regular physical exercise may be more effective in managing mild symptoms. Melancholic Depression A sub-type of major depressive disorder in which individuals struggle to find pleasure in positive things. Agitation, insomnia and loss of appetite are common. Cyclothymia Moods cycle between mildly depressed and elevated or hypomanic. Similar to bipolar disorder but significantly less severe in terms of depressive and manic episodes. Adolescent Depression Depressive symptoms in teenagers, often caused by various triggers, such as changing hormone levels during puberty, having low self-esteem, being victim of bullying, childhood abandonment, or exposure to violent or sexual abuse. Psychotic Depression A major depressive episode in which the sufferer experiences psychotic symptoms such as hearing or seeing things that aren’t real or experiencing delusional, paranoid thoughts. Preparatory Grief This is the type of grief that individuals go through when they know they are dying. It is often deemed a type of depression as it shares many symptoms with the mental illness. If you’ve been suffering with many of the symptoms listed in this article or in Part 1 on modafinilxl.com for a significant amount of time – usually two weeks or more – it is possible that you’re suffering from a depressive disorder. A healthcare professional, such as a physician or psychologist, will be able to diagnose you and help you to understand which type of the illness you are suffering from. You should consult a doctor if you’ve been experiencing symptoms for more than two weeks, no matter how mild your symptoms are. Individuals with mild or functional depression may not deem it necessary to visit a doctor, but unless they seek treatment and advice on how to live with their symptoms, their mental health could decline into a severe episode of major depressive disorder. Individuals experiencing suicidal symptoms should seek urgent care if they are having strong thoughts of harming themselves or committing suicide. Those who are dealing with chronic depression may not have much hope that medical intervention will help them, but with perseverance it may be possible to find medication or methods of coping that significantly reduce the severity of the symptoms. If you are living with someone with a depressive disorder, you should encourage them to seek medical support if you feel their quality of life, relationships and daily routine is suffering as a result of the illness. If in doubt about someone’s mental state it may be helpful to consult a physician for advice, but ultimately they must seek help from a doctor on their own terms.